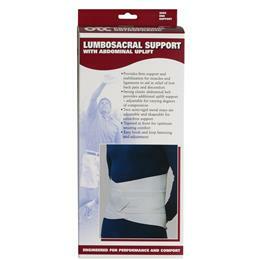 Provides firm support and stabilization for muscles and ligaments to aid in relief of low back pain and discomfort. Abdominal belt provides additional uplift support. 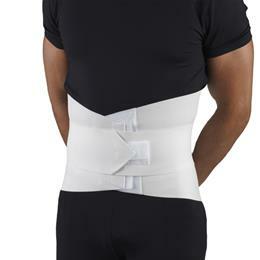 Strong elastic abdominal belt, adjustable for varying degress of compression. Tapered in front, easy hook-and-loop fastening and adjustment. 7in. deep in front, 11in. In back.